Your Septic System Has Limitations! Living in Clackamas county means you have a Septic Tank and you should be aware of what to expect when living with a septic system. The Drain Doctor’s Rooter and Septic Service® is frequently asked for tips on handling septic systems. How you treat your system is important to a happy household and a healthy system. Your septic system was designed and installed to serve an average size family. Overloading the septic tank or disturbance of the drain field may seriously impair satisfactory operation and cause increased regularity of septic tank pumping. Before you landscape or build anything, know where your septic tank and drain fields are. It could become a costly project if you don’t. Have your tank checked periodically (every 3-5 years) to see if pumping is necessary. Do not channel ground water, surface water, footing drains or down spouts into the tank or the drain field area. Do not excavate, fill, place a structure, driveway, or patio in, on, or over the drain field or septic tank. Limit toilet fixture disposal to sanitary wastes and toilet tissue only. Detergents and bleach used in normal household quantities will not harm the action of the septic tank and disposal field, but be conservative. Too much bleach or detergent can kill the needed bacteria in the system. Garbage disposals are not recommended for septic tanks. If you have one and use it, you must service the system more often. Space water usages as much as possible (never do several loads of laundry on the same day). This can overload the absorption system and damage it. Never wash down sidewalls of tank after pumping. (Natural bacterial are what make your system work. One or two inches of sludge can be left in the tank for bacteria. Check outlet baffle periodically and replace immediately if damaged or missing. This baffle prevents solids from entering (and eventually destroying) your drain field. Your service company can take care of this for you. Grass is the only plant life you can safely put in the drain field area. 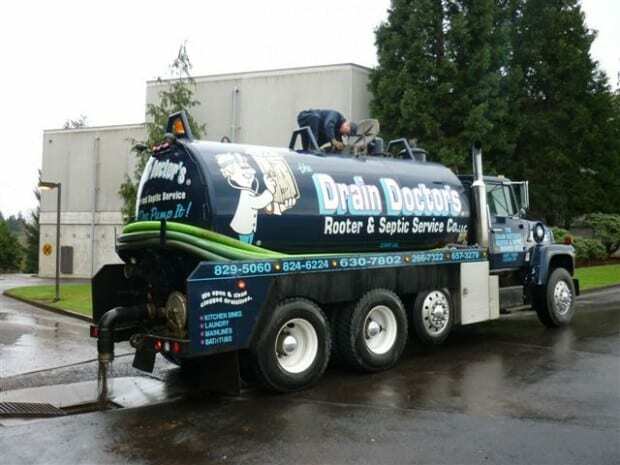 The above information is provided to homeowners by The Drain Doctor’s Rooter and Septic Service®, and is based on a family of four (three bedroom home). 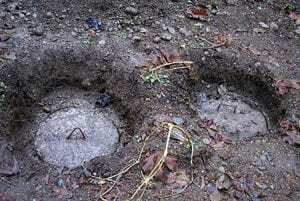 What Size Septic Tank Do I Need? Can You Flush Baby Wipes with a Septic System? The Drain Doctor is not a franchise.